Spend a day at the Computer History Museum. Find out why computer history is 2000 years old. Learn about computer history’s game-changers in our multimedia exhibitions. Play a game of Pong or Spacewar ! Listen to computer pioneers tell their story from their own perspective. Discover the roots of today’s Internet and mobile devices. See over 1,100 historic artifacts, including some of the very first computers from the 1940s and 1950s. The mission of the Computer History Museum is to preserve and present for posterity the artifacts and stories of the information age. As such, the Museum plays a unique role in the history of the computing revolution and its worldwide impact on the human experience. 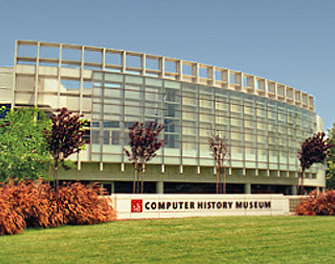 Visit http://www.computerhistory.org to know more about Computer History Museum as well as to have a virtual experience.